Due to the many variables involved in creating a well-behaved, balanced dog, including owner commitment, consistency, and follow-through, we do not offer a 100% guarantee. However, we only choose the most dedicated and diligent owners, so in our experience, no matter how severe the issues, we consistently see breakthrough results and amazing transformations. We have never come across a dog we could not help. We work hand-in-hand as a team with you in your dog’s rehabilitation. 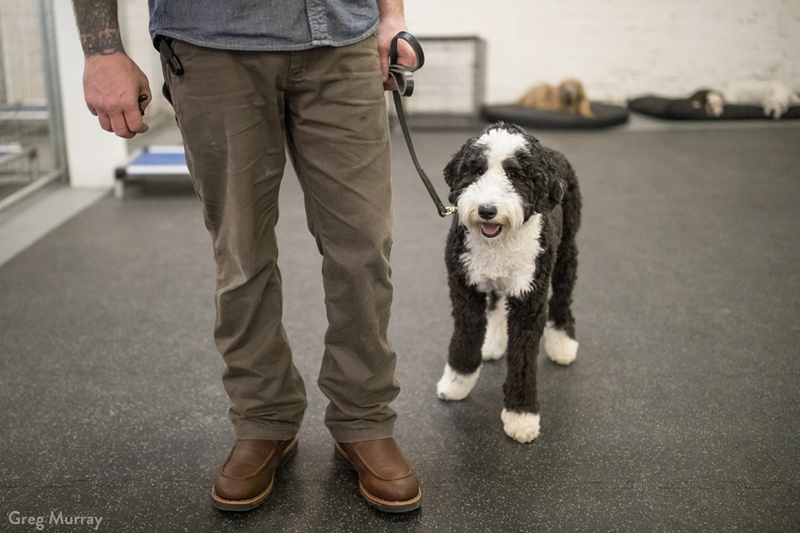 This process of teamwork and collaboration begins before we even meet your dog, and moves through the training process, continuing long after your dog has gone home. Your success is our utmost priority! Do you use treats to train dogs? Our training approach is relationship based. We believe that our dogs should be working for us, not for a food morsel. Treat training has many limitations and tends to cause dogs to be overly-excited, hyper, and food-fixated rather than relaxed and calm. We use prong collars because we find them to be the best tool for connecting, communicating, and creating a harmonious relationship with the least amount of physical stress to the dog and owner. Most tools tend to only mask or manage the behavior, while the prong collar allows us to actually break through and effortlessly communicate, creating a vastly different state of mind and a highly responsive dog. While the appearance of prong collars may be deceiving, when used correctly, they have been proven to be the least physically taxing, most humane, and one of the safest tools available. Yes. We specialize in aggression rehabilitation, and are one of the few places in Cleveland providing successful solutions for problem dogs. We have built our reputation by successfully rehabbing some of the most severe cases. We consistently get fantastic results with all levels of issues, from mild pulling and disobedience, to severe dog reactivity. Our training facility is located near the West Bank of the Flats at 1303 Washington Ave, Cleveland, OH 44113. “After our dog bit our daughter we were faced with the reality that we had to make drastic changes in our household. With the support of Evolution Canine, we were able to make those changes and introduce a sense of harmony back into our home. Scott turned our stubborn dog into a calm and obedient dog and has given us the tools to manage him within our household. Taking Mikey in for the two week board and train program was the best decision that we have ever made for him. It has truly turned our life around.” –Sarah V.